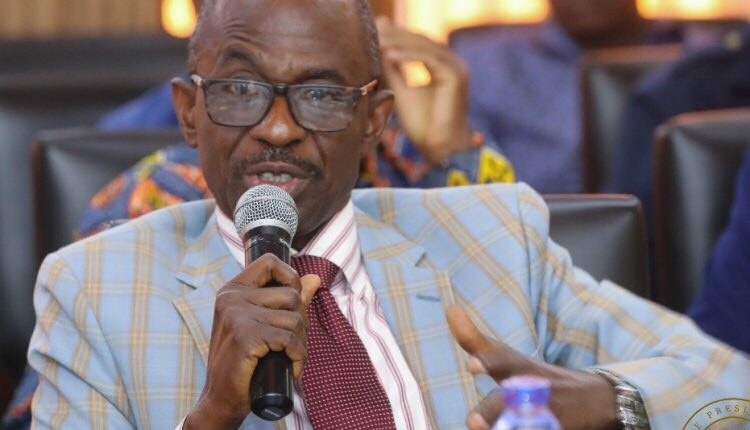 “…Times are hard [and] it would be very offensive for Ghanaians to see flamboyant campaigns…when they are living in penury,” the General Secretary of the NDC John Asiedu Nketia noted Thursday at a news conference to declare open nomination for the flagbearer slot of the party. “And so we are urging our proposed contestants [flagbearer hopefuls] that they should be modest in their campaigns and their outdoor advertisement to be consistent with the values of NDC as a social democratic party,” he entreated. He further cautioned the flagbearer hopefuls against insulting-campaigns as it has taken notice some pronouncement to that effect in the months leading to the opening of the nomination. “The party has taken note of some pronouncements that have gone on earlier on by people who were pretending to be flagbearers and we realized that some of the utterances have not been in good taste. “Now that we have officially opened the campaign we will be monitoring and we want to caution all those persons who want to lead this party to conduct a campaign that is decent, decorous in terms of choice of language, devoid of personal attacks,” admonished Mr Asiedu Nketia. Mr. Mahama who is likely to contest the flagbearer slot for the umbrella family will have to beat competition from former UPSA vice-chancellor Professor Joshua Alabi, Second deputy speaker of Parliament Alban Bagbin, former NHIA boss Sylvester Mensah and his former Trade minister Dr Ekwow Spio Garbrah.